The most anticipated movie here and everyone is rushing to see the guardians of the galaxy volume 2 played by Chris prat again as Peter Quill who calls himself StarLord in the movie and consider himself as the savior or the Guardians of the Galaxy 2 Chris Pratt Jacket. His spellbinding character and his role in the movie is nothing compared to the jackets and coats he wears in the movie. The Guardians of the Galaxy 2 Chris Pratt Jacket has it all. Made from genuine leather with styles and designed like no other costume is an instant hit. 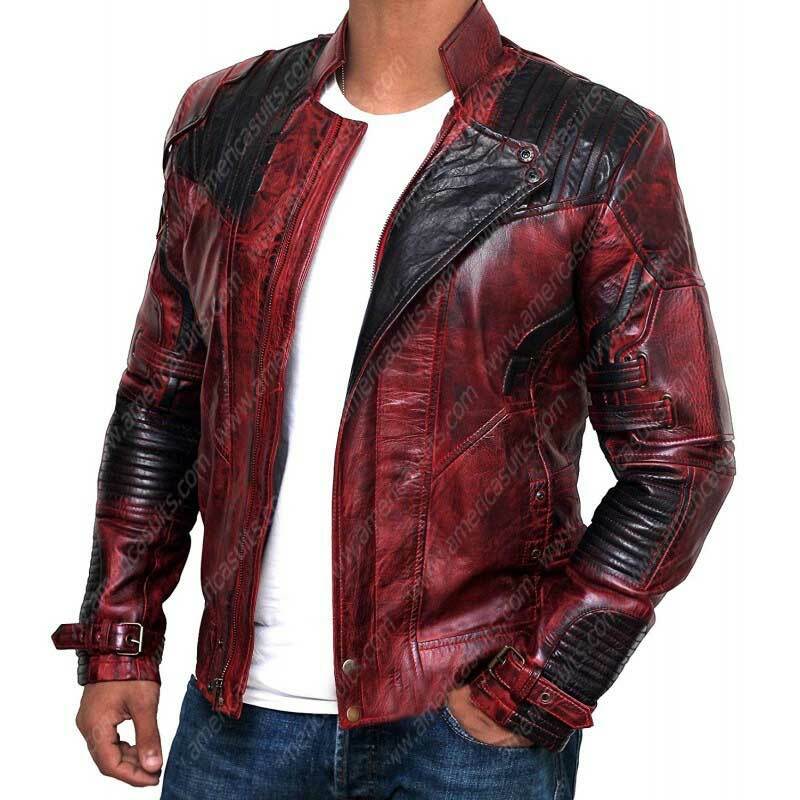 The star lord jacket is red in color and zipper closure with padded shoulders. The Peter Quill leather jacket is also waxed to give the effect of the rough and tough jacket and believe it this is probably the world's best jacket ever created. And the Avengers endgame Chris Pratt Jacket also has belted cuffs. You must participate in voting for this movie the number one movie by showing your love in a way people will remember their lifetime and the ways is to see the movie, buy its DVD and wear the same style jacket called the guardians of the galaxy 2 jacket worn by the famous Star-Lord in the movie who will be remembered for generation, so buy this Star-Lord jacket now from America suits and be the proud ones among the community and show love to the movie. Watch this Video iPhone7 or iPhone8 or any Samsung iPad. See more at americauits.com.